What’s an Arctic research conference without some snow? 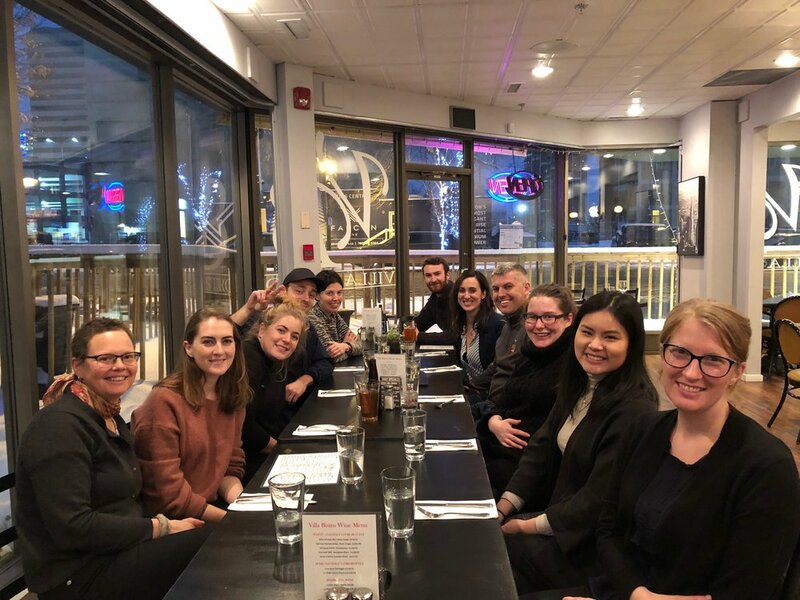 The Association of Canadian Universities for Northern Studies (ACUNS) Student Conference, held from November 1-3 at the University of Alberta, perfectly coincided with a generous, multi-day serving of snow, setting the tone for three days of engaging discussions on Northern research. Personally, I had the exciting opportunity to present my first poster at an academic conference, entitled ‘Indigenous knowledge integration and community-based research practices among Northern researchers’. The poster session was a very enjoyable experience, and my project will definitely benefit from the conversations I had with researchers hailing from a wide variety of disciplines. Dr. Martin Raillard, the Chief Scientist of Polar Knowledge Canada (POLAR), delivered the opening day’s keynote lecture. He spoke passionately about Canada’s leadership position in Arctic research, and the capacity for POLAR to guide other nations towards Indigenous-identified research gaps in Arctic contexts. Among other things, he emphasized the importance of relationships; specifically, that meaningful relationships are what matter the most when it comes to research in the North. On the topic of relationships, ACUNS 2018 was also an opportunity for several members of the Harper Lab, be they based out of Edmonton, Guelph or elsewhere, to reconnect in a fairly informal setting. David Borish, fresh off the plane from the North American Caribou Workshop in Ottawa, gave an incredible presentation on exploring Inuit-caribou relationships through community-led audio-visual methods. Spoiler alert: David won the award of top oral presentation among PhD students! Outside of the conference, there were several fun activities planned for the Harper Lab, including attending an Oilers game (they won 4-0! ), splitting forces to compete in an escape room, and going out for a nice meal. Back at the conference, Mr. Duane Ningaqsiq Smith, the Chairperson and Chief Executive Officer of Inuvialuit Regional Corporation, delivered a powerful keynote lecture wherein he referenced some personal experiences with research in the Inuvialuit region. He offered a simple but wise recommendation to do your research (about the region and its people) before you head North to do your ‘actual’ research. Aside from the keynote speakers, the program was packed with research presentations covering an immensely broad range of topics, from traditional Inuit sewing and beading practices, to changes in lichen biomass. Despite the breadth of content covered in the conference’s three days, there were indeed some unifying themes. Notably, an emphasis on active, mutual learning with Northern community members and/or local representatives appeared to be emerging across essentially all domains of Northern research. Even projects that were seemingly unrelated to humans often took place on the territories of Indigenous communities and served to benefit from the Indigenous knowledge of that region, but more importantly, had a duty to ensure constant consent and approval from the local populations. Several presenters also mentioned a shift towards Indigenous-led research and ownership of results as a method of enhancing the local relevance of research practices. The concept of the Arctic being large in geography but small in ‘feel’ was also an underlying thread throughout the conference’s presentations and coffee break discussions. Many individuals have lived or worked in the same communities and thus knew lots of the same people! Wrapping up the conference, the Guelph-born explorer extraordinaire James Raffan delivered the keynote lecture at Saturday night’s closing gala. He spoke of his latest adventure: Travelling around the Arctic Circle at 66.6 degrees latitude to engage with locals and learn how they’re being affected by climate change. Despite his own decision to leave the world of academia, James offered high praise for the passion and commitment to meaningful research on display at ACUNS 2018. Overall, this conference was a wonderful opportunity to learn from the future generation of Arctic researchers, and allowed many members of the Harper Lab to reconnect at the University of Alberta! How can integrated health & environmental monitoring support climate change adaptation? Check out our new publication to find out! 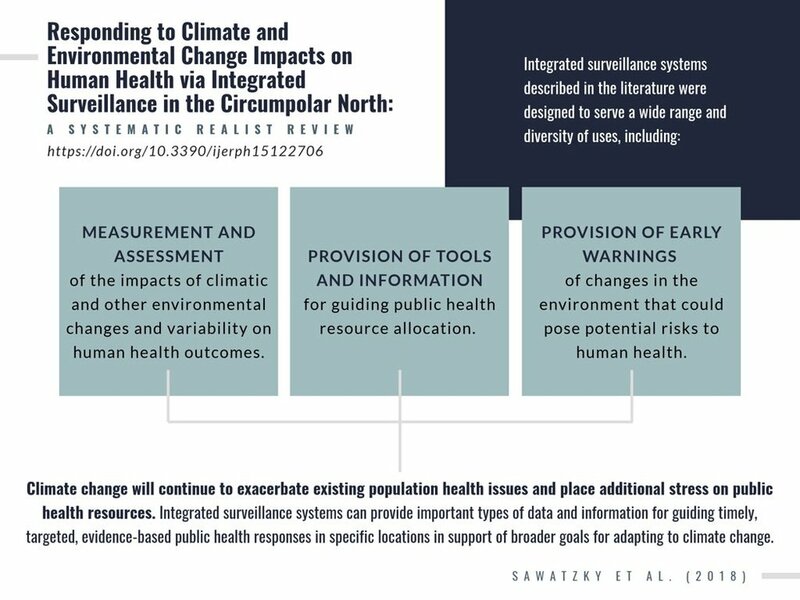 The wide range and diversity of integrated surveillance systems described in the literature can help guide and target evidence-based public health responses in support of climate change adaptation in the North. 2: Findings offer insight into how these systems can be designed to be more responsive to public health concerns within rapidly shifting Northern environments. What are key components of integrated surveillance? Environments are shifting rapidly in the Circumpolar Arctic and Subarctic regions as a result of climate change and other external stressors, and this has a substantial impact on the health of northern populations. Thus, there is a need for integrated surveillance systems designed to monitor the impacts of climate change on human health outcomes as part of broader adaptation strategies in these regions. This review aimed to identify, describe, and synthesize literature on integrated surveillance systems in Circumpolar Arctic and Subarctic regions, that are used for research or practice. Following a systematic realist review approach, relevant articles were identified using search strings developed for MEDLINE® and Web of Science™ databases, and screened by two independent reviewers. Articles that met the inclusion criteria were retained for descriptive quantitative analysis, as well as thematic qualitative analysis, using a realist lens. Of the 3431 articles retrieved in the database searches, 85 met the inclusion criteria and were analyzed. Thematic analysis identified components of integrated surveillance systems that were categorized into three main groups: structural, processual, and relational components. These components were linked to surveillance attributes and activities that supported the operations and management of integrated surveillance. This review advances understandings of the distinct contributions of integrated surveillance systems and data to discerning the nature of changes in climate and environmental conditions that affect population health outcomes and determinants in the Circumpolar North. Findings from this review can be used to inform the planning, design, and evaluation of integrated surveillance systems that support evidence-based public health research and practice in the context of increasing climate change and the need for adaptation. 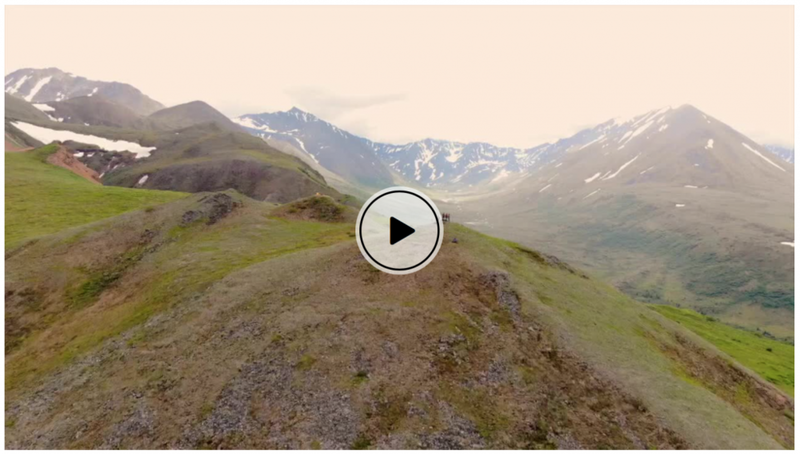 Check out this video, entitled "Clap", created by David Borish (PhD student), that summarizes his National Geographic Student Expedition in Alaska. Written by David Borish, PhD Student Over the past two weeks I was incredibly fortunate to co-lead a National Geographic Student Expeditions (NGSE) trip in Alaska. NGSE offers photo and video-oriented programs for High School and Middle School students worldwide. Hired as the video-focused trip leader, my role was to provide guidance and support to six students from various parts of the US and China who were interested in producing some form of video for their final “on assignment” project. I wore many hats during my time in Alaska. I planned day activities, organized events, facilitated a positive environment for all levels of learning, drove over 1,500kms, cooked, listened when students needed someone to talk to, dealt with both positive and negative group dynamics, and, most importantly, became a friend and mentor to some amazing, smart, and passionate youth. Simply put, the trip was a blast. We hiked in Denali National Park, went on an Arctic wildlife safari, ice climbed, trekked on the Matanuska Glacier, kayaked in Kachemak Bay, went tide pooling, interacted with a National Geographic wildlife-tracking expert, and visited the Alaska Native Heritage Center, among other things. Relating to my personal PhD research, I had an opportunity to see and photograph Alaskan caribou in Denali National Park. I also received some insight into the diverse connections between caribou and Alaskan Natives across the state, from Inupiat to Aleut. I hope to learn more about these connections in Alaska as they can inform my research moving forward. 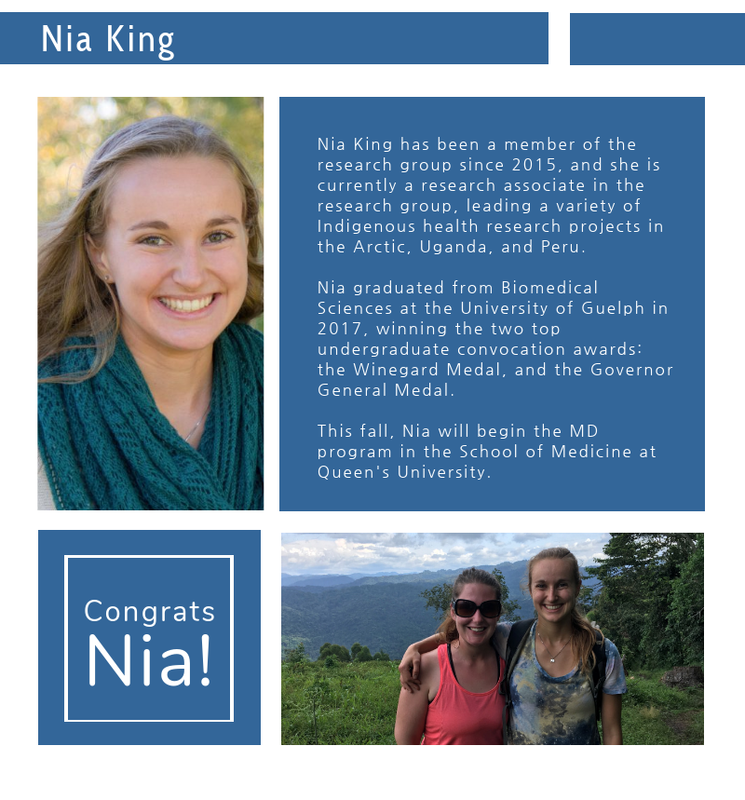 Congratulations to Nia King for her recent publication in PloS One. In the north, per capita healthcare costs are high. However, given Inuit communities’ unique cultural, economic, and geographic contexts, there is a knowledge gap regarding the context-specific indirect healthcare costs borne by Inuit. Therefore, Nia worked with Northern partners to identify the major indirect costs of enteric illness, and explore factors associated with these indirect costs, in Rigolet, Canada. King, N., Vriezen, R., Edge, V.L., Ford, J., Wood, M., IHACC Research Team, Harper, S.L. (2018). The hidden costs: Identification of indirect costs associated with acute gastrointestinal illness in an Inuit community. PloS One, 13(5), e0196990. Click here for free article (open access). Background: Acute gastrointestinal illness (AGI) incidence and per-capita healthcare expenditures are higher in some Inuit communities as compared to elsewhere in Canada. Consequently, there is a demand for strategies that will reduce the individual-level costs of AGI; this will require a comprehensive understanding of the economic costs of AGI. However, given Inuit communities’ unique cultural, economic, and geographic contexts, there is a knowledge gap regarding the context-specific indirect costs of AGI borne by Inuit community members. This study aimed to identify the major indirect costs of AGI, and explore factors associated with these indirect costs, in the Inuit community of Rigolet, Canada, in order to develop a case-based context-specific study framework that can be used to evaluate these costs. Methods: A mixed methods study design and community-based methods were used. Qualitative in-depth, group, and case interviews were analyzed using thematic analysis to identify and describe indirect costs of AGI specific to Rigolet. Data from two quantitative cross-sectional retrospective surveys were analyzed using univariable regression models to examine potential associations between predictor variables and the indirect costs. Results/Significance: The most notable indirect costs of AGI that should be incorporated into cost-of-illness evaluations were the tangible costs related to missing paid employment and subsistence activities, as well as the intangible costs associated with missing community and cultural events. Seasonal cost variations should also be considered. This study was intended to inform cost-of-illness studies conducted in Rigolet and other similar research settings. These results contribute to a better understanding of the economic impacts of AGI on Rigolet residents, which could be used to help identify priority areas and resource allocation for public health policies and programs. Cunsolo Willox, A., Harper, S.L., Edge, V., Landman, K., Houle, K., Ford, J., the My Word Team, and Rigolet Inuit Community Government. 2013. ‘The Land Enriches the Soul:’ On climatic and environmental change, affect, and emotional health and well-being in Rigolet, Nunatsiavut, Canada. Emotion, Space, and Society, 6(1): 14–24. Click here to access the article for free. 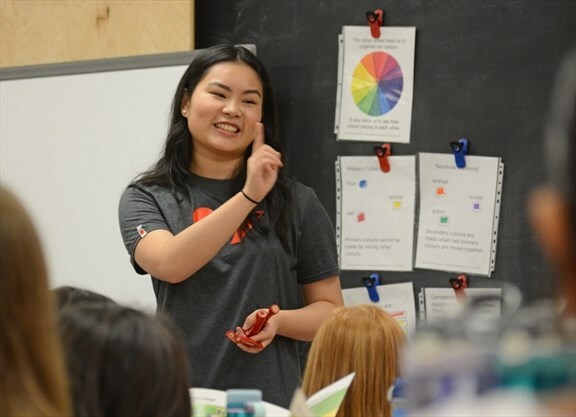 Congratulations to Undergraduate Thesis Student Crystal Gong, who is one of the honorees being recognized by the Guelph Y 2018 Guelph Women of Distinction. Crystal is working on our research team on two research projects: (1) synthesizing the state of knowledge on food security in the context of climate change, and (2) examining how season is associated with food security. We examine the application of Community Based Adaptation (CBA) approaches in Indigenous community settings. CBA can co-generate knowledge on climate-health vulnerability and adaptation options, build capacity, and inform decision choices. CBA can also have unintended negative consequences. CBA requires careful consideration of community-researcher relationships and meaningful engagement of knowledge users. CBA holds significant promise but only in the ‘right’ circumstances. Climate change presents substantial risks to the health of Indigenous peoples. Research is needed to inform health policy and practice for managing risks, with community based adaptation (CBA) emerging as one approach to conducting research to support such efforts. Few, if any, studies however, have critically examined the application of CBA in a health or Indigenous peoples context. We examine the strengths, challenges, and opportunities of health-related CBA research in Indigenous community settings, drawing on the experiences of the multi-nation interdisciplinary Indigenous Health Adaptation to Climate Change (IHACC) project. Data collection was guided by a framework developed to evaluate CBA projects. Semi-structured interviews (n = 114) and focus groups (n = 23, 177 participants) were conducted with faculty-based researchers, institutional partners, community members, students, and trainees involved in the IHACC project in Canada, Uganda, and Peru. Results illustrate the importance of CBA in co-generating knowledge on climate-health vulnerability and adaptation options, capacity building, and informing decision choices. There are also significant challenges of conducting CBA which can have unintended negative consequences, with results emphasizing the importance of managing the tension between health research and tangible and immediate benefits; developing a working architecture for collective impact, including team building, identification of common goals, and meaningful engagement of knowledge users; and the need to continuously monitor and evaluate progress. CBA holds significant promise in a health adaptation context, but only in the ‘right’ circumstances, where considerable time is spent developing the work with partners. Ford, J.D., Sherman, M., Berrang-Ford, L., Llanos, A., Carcamo, C., Harper, S.L., Lwasa, S., Namanya, D.B., Marcello, T., Maillet, M., Edge, V. 2018. Preparing for the health impacts of climate change in Indigenous communities: The role of community-based adaptation. Global Environmental Change. 49: 129–139. Click here for open-access article. Written by Jacqueline Middleton, PhD Candidate This year’s annual ArcticNet meeting (Arctic Change 2017) was held in the historical Quebec City, QC, from December 11-15, 2017. The international conference hosted Arctic researchers, stakeholders, and community representatives from across the North. Over 60 topical sessions and more than 350 posters across disciplines encouraged learning and discussion among attendees. The venue also promoted relationship building as it conveniently provided space for side meetings necessary for project partners to collaborate. Once again, a fantastic Student Day was held with a focus on ‘International Cooperation and Collaboration in Arctic Research’, and had its inaugural ‘Elevator Pitch’ competition, where students from across disciplines were challenged to engage audiences with a one-minute oral presentation on their poster. The Harper Lab’s own Anna Manore participated in this competition – presenting on her Master’s work with the PAWS project on shellfish contaminants in Iqaluit. The Harper Lab contributed a number of oral and poster presentations, showcasing our research group’s work on environmental health surveillance and monitoring, mental wellbeing, as well as water and food security. After an engaging week learning about the forefront of Arctic research, the conference ended with a beautiful banquet where awards and acknowledgements were presented, including PhD candidate Alex Sawatzky who won first place in the Health and Social Sciences category in the graduate student poster competition! The evening closed with a fantastic performance by Iqaluit artists The Jerry Cans. It was a privilege and a tremendous pleasure to participate and attend Arctic Change 2017. The Harper Lab can’t wait for next year! Written by Vivienne Steele and Carlee WrightOn December 5th, our lab went to Play with Clay to make hand-crafted mugs! With guidance from staff we learned to roll and cut shapes from fresh clay, and everyone decorated their mugs with fun stamps, lace, and stencils. After painting and glazing, they were fired in the kiln and ready for use! This event was rewarding and relaxing after everyone's busy semesters - a chance to create unique pottery pieces in wonderful company. Congratulations to PhD student Steven Lam for winning a Graduate Excellence Entrance Scholarship. These scholarships were created to assist the university in attracting the highest quality students to their graduate programs. Congratulations Steven! Sincerest congratulations to Lindsay Day, as she begins her new job at the Gordon Foundation, as a Program Coordinator for the MacKenzie DataStream. The Gordon Foundation is "a charitable organization dedicated to protecting Canada's water and empowering Canada's North. [They] seek opportunities to amplify underrepresented voices, elevate emerging issues, and collaborate with like-minded organizations to drive powerful, sustainable outcomes." Lindsay completed a MSc in the Department of Population Medicine. Her thesis and Water Dialogues podcast examined reconciling our relationships with water, through the development and use of a collaborative podcasting methodology to explore and share diverse First Nations, Inuit, and Métis Perspectives.